Participation in the Kettle Moraine Lutheran Elementary School (KMLES) Band Program is a fun and rewarding experience available to all students in grades 5 through 8, regardless of musical experience. Besides learning how to play a musical instrument, students learn to perform in solo and group situations. In these groups they meet students from other Federation schools and are involved in making music with them. During the school year, the band program has two major parts. Students will receive a weekly 20 minute lesson at their school from one of our instructors. These lessons will be held during the school day and will focus on individual concepts and growth. Group rehearsals will be held at KML on various Monday evenings through the year. The focus of these rehearsals is to work on group concepts and to prepare for various performances throughout the year. Where Do We Get More Information? More information can be found online at www.kmlhs.org/kmlesbands. There we have information about the different instruments available, links to news and schedules and have a link the online payment system. Please also feel free to contact Mr. Amundson by email at nate.amundson@kmlhs.org or by phone at 262.677.4051, ext. 1410. Children's Choir Welcomes all 3rd - 6th Graders! Good Shepherd offers piano lesson to students in grade two or higher. 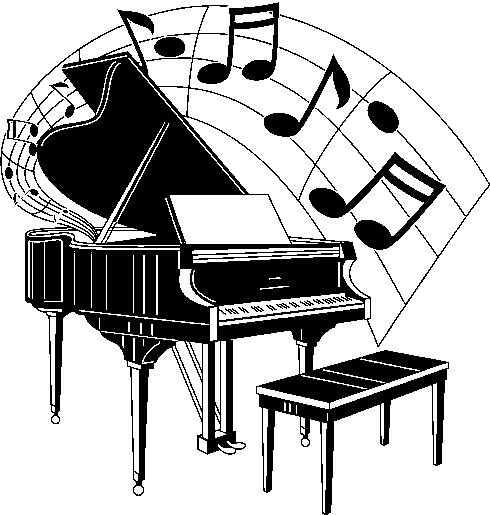 The piano instructors are Mrs. Gedemer, Mrs. Schmiege and Mrs. Weigand. They all have many years of experience as piano teachers and are members of the Moraine Area Music Teacher's Organization. If you are interested in having your child take piano lessons during the school day please fill out the form below. For further information please contact Mrs. Gedemer at 334-8172, Mrs. Schmiege at 338-3114 or Mrs. Weigand at 306-9768. Reaching out with God's Word, Good Shepherd School assists families with educating, encouraging, and equipping children for life and eternity.